Are Generic Drugs As Safe As Branded Drugs? Home Drug & Medications Are Generic Drugs As Safe As Branded Drugs? Generic drugs are similar to their branded drugs in their chemical compositions, directions of use, dosage, effects and side-effects and intended use. The key differences between the two are their cost and their names. Generic drugs are cheaper but are just as effective as the branded drugs. Both, the generic and branded drugs have to meet the standards set by the Food and Drug Association (FDA). The FDA thoroughly tests the generic drugs and its ingredients to ensure their quality and equivalency is at par with the branded drugs. So, why are these cheaper? A pharmaceutical company, after producing a new drug, has to submit it to the FDA, after which a patent is issued which grants the company rights to exclusively produce and sell that drug. The company also has to incur expenditure for marketing the drug which tends to make a branded drug costlier. Later, when the patent nears expiration, other drug manufacturers apply the FDA for the production of generic form of the drug. 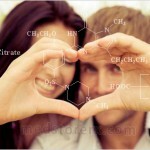 With this, they save on the initial cost of researching and developing a drug and also promoting it in the market. And then, with many manufacturers producing the same generic drug, prices go lower to meet the competition. However, this does not imply that the generic drugs are made at sub-standard facilities and are of sub-standard quality. As mentioned before, they have to meet the standards set by the FDA and match the quality of branded drugs. Besides, a lot of branded manufacturers have been known to make generic versions of their own drugs. 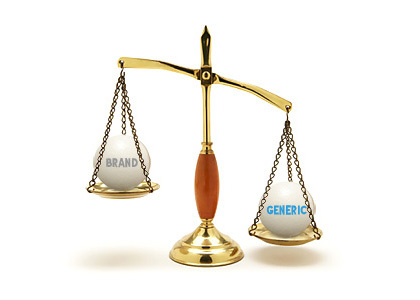 Around 50 percent of the branded companies have been reported to be manufacturing generic drugs. Branded drugs have brand names that the original company markets them by which are written in capital. Generic drugs simply have their chemical names which are not written in capitals. Also, generic drugs may appear different in shape and size and colour from the branded ones because of the inactive ingredients like flavour and colour and preservatives in the drugs differ. As per trademark laws, a generic drug is not allowed to look same as the branded ones. Yet, they are equivalent in quality and safety. In fact, generic drugs too, like any other medicines, are prescribed by doctors. One can make differentiate generic drugs from their branded counterparts by the style in which their names are written. A brand name is written in capital while a generic is not. So, where are these low-cost versions available? Generic drugs are available across all pharmacists. Consulting your physician before buying or switching to a generic drug is preferable. Are there no other dangers involved? No, there are no dangers involved. So, you can buy generic drugs very confidently, here is why – they are equivalent to branded drugs in dosage, usage, intended use, effects, side-effects, safety, quality, purity, stability. They are cheaper, but of the same quality as that of the branded drugs. They are copies of drugs most of which are often made by branded drug companies. They are tested and approved by FDA which means that the facilities at which they are produced and the ingredients used comply with FDA regulations, and are at par with those of branded drugs. These are also prescribed by doctors generally.